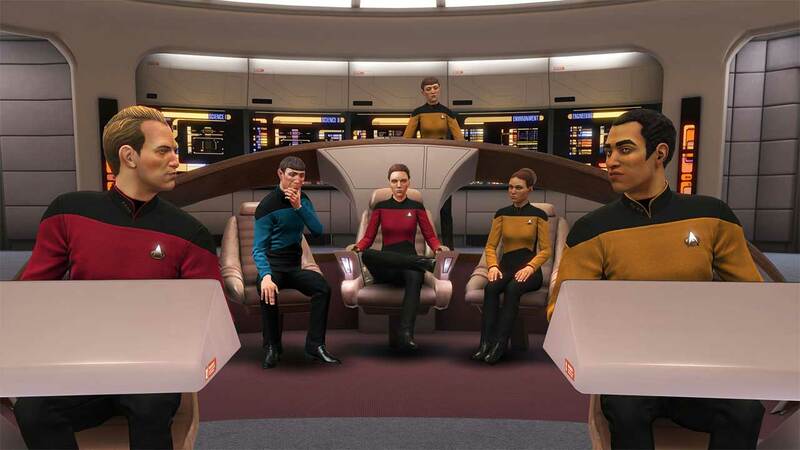 Developed specifically for VR, Star Trek: Bridge Crew puts you and your friends in the heart of a starship where, as officers of the Federation, every action and decision you make together will determine the fate of your ship and crew. 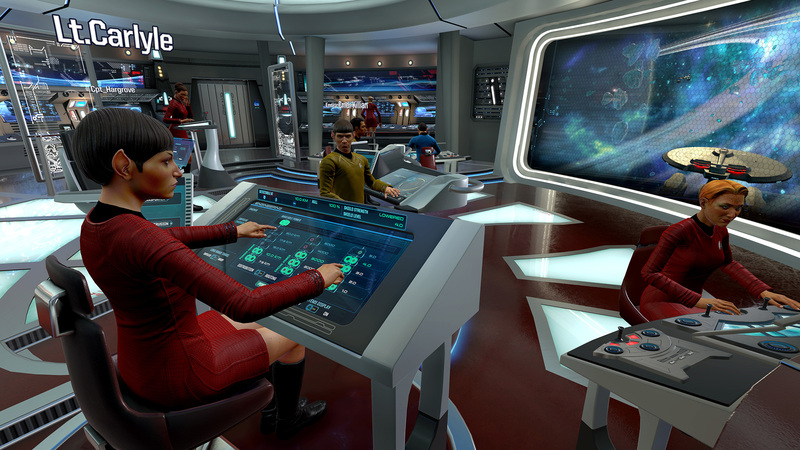 The adventures continue with Ongoing Voyages, where you will have the choice of tackling missions aboard the USS Aegis or the original bridge of the USS Enterprise NCC-1701. 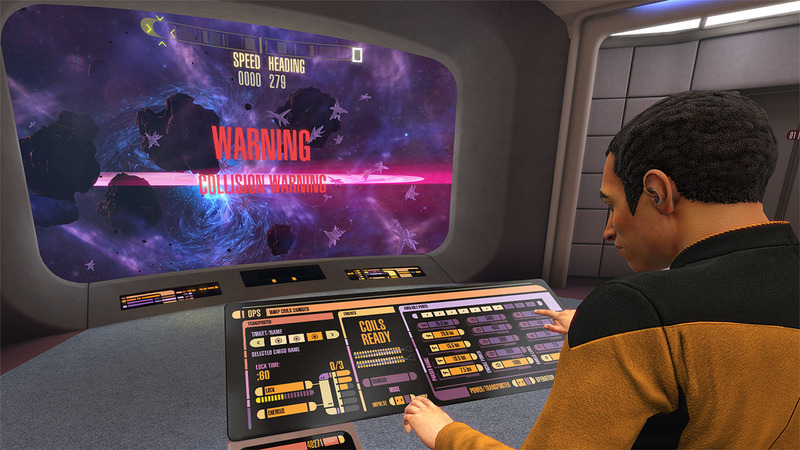 This mode features randomized missions for countless hours of solo and co-op gameplay. 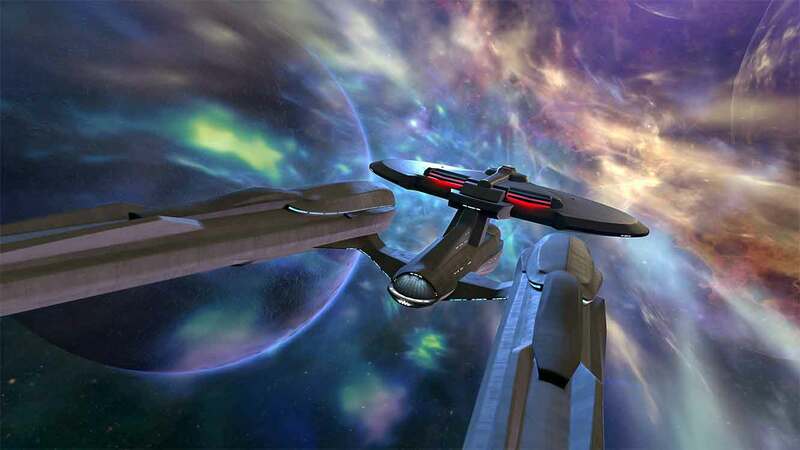 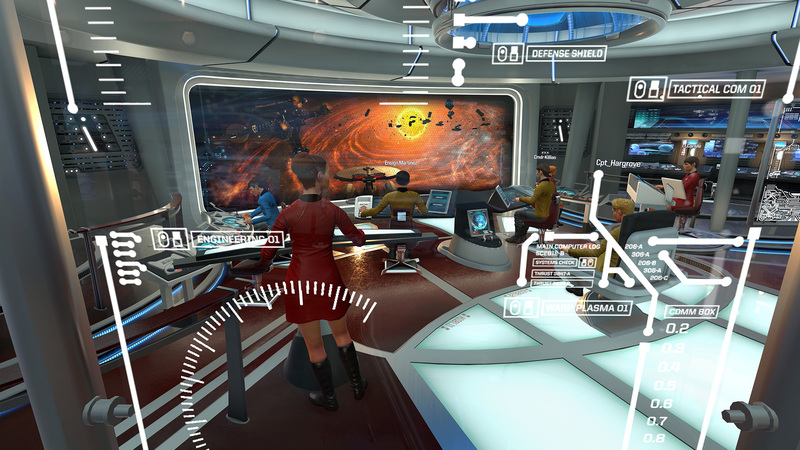 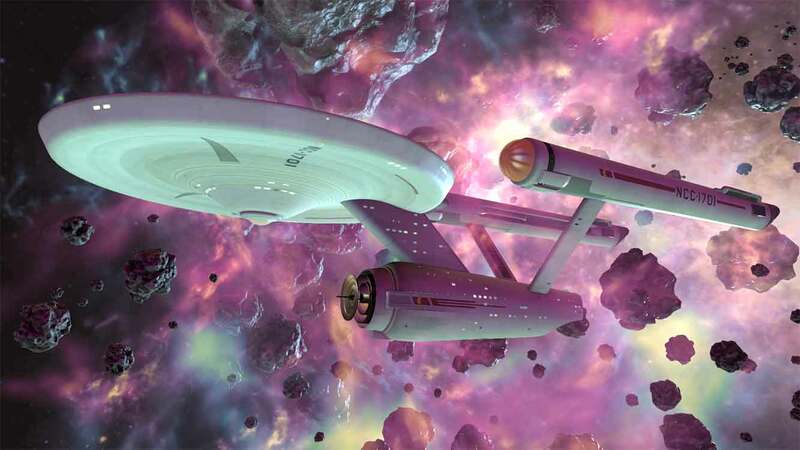 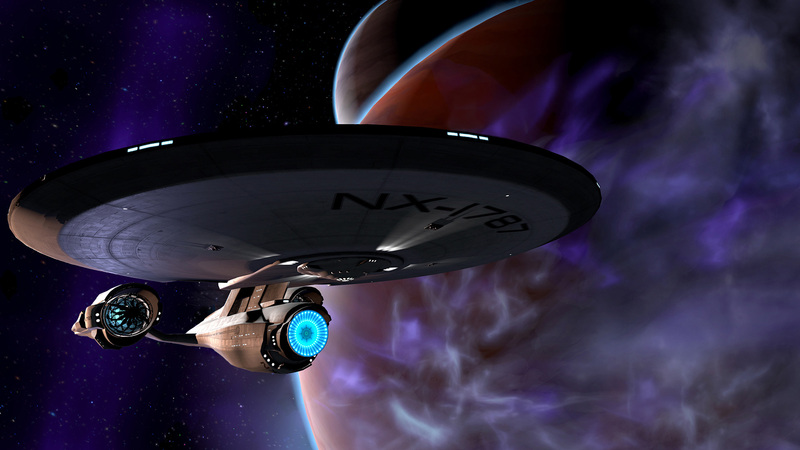 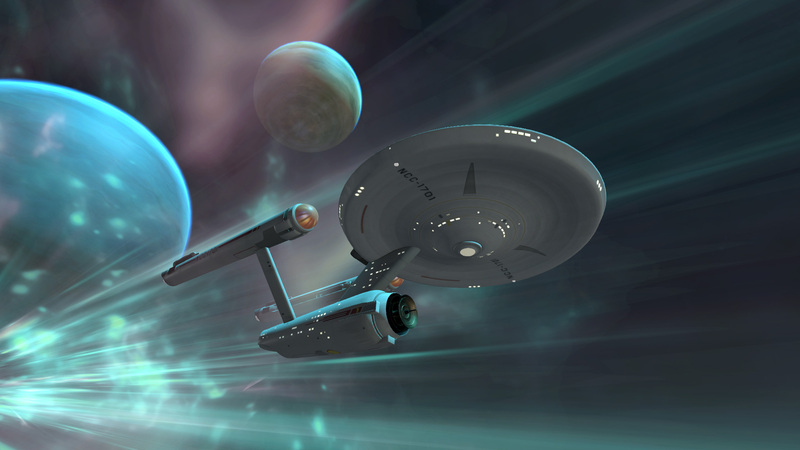 Star Trek: Bridge Crew was developed specifically for virtual reality and capitalizes on the powerful sense of social presence possible only through VR. 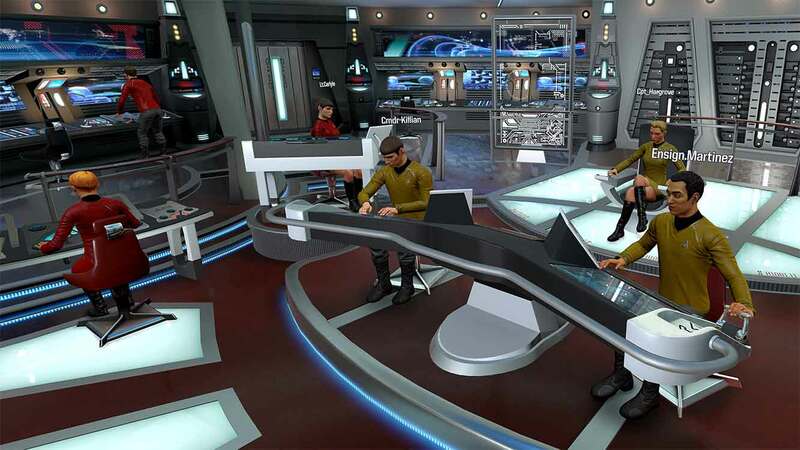 Our hand tracking with full body avatars and real-time lip sync allow players to genuinely experience what it’s like to serve as an officer on the bridge of a Federation starship. 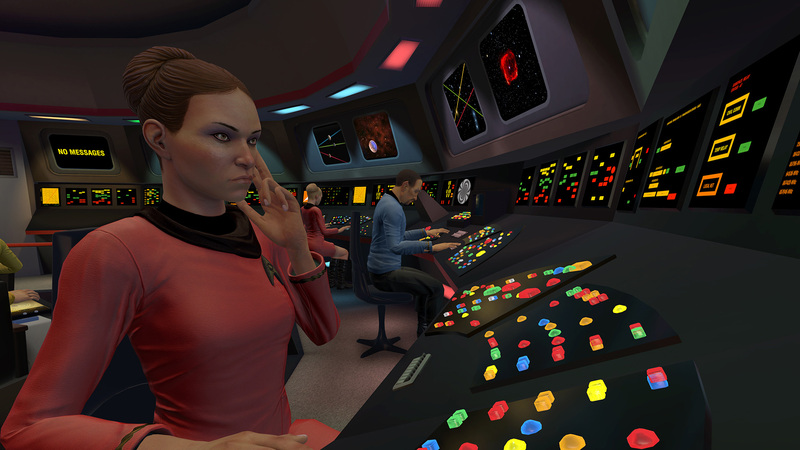 Make strategic decisions and coordinate actions with your crew to complete the mission. 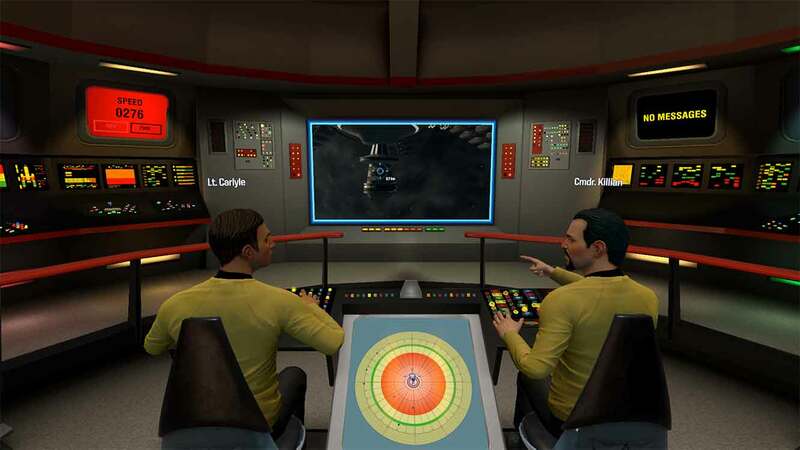 In co-op, players can form a crew of four to serve in the roles of Captain, Helm, Tactical and Engineer. 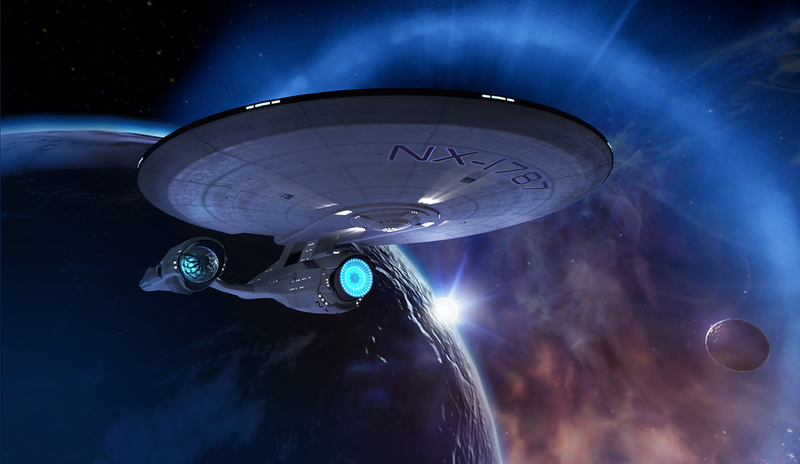 Each player is crucial to the success of the varied missions you face and the safety of your crew and ship. 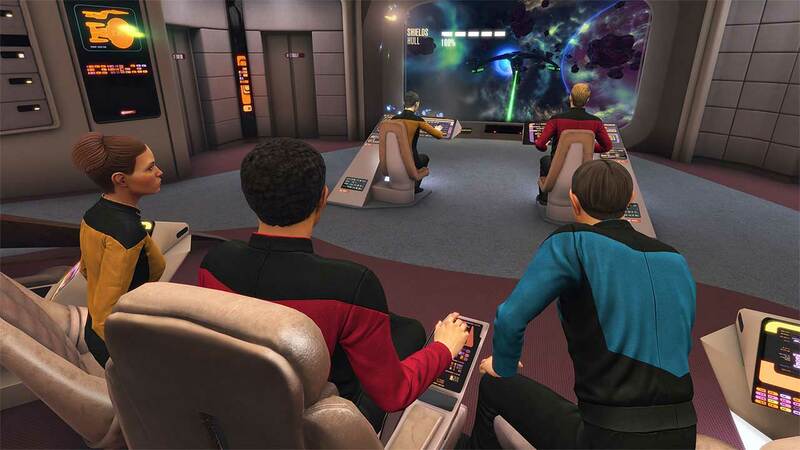 Take command of the U.S.S. 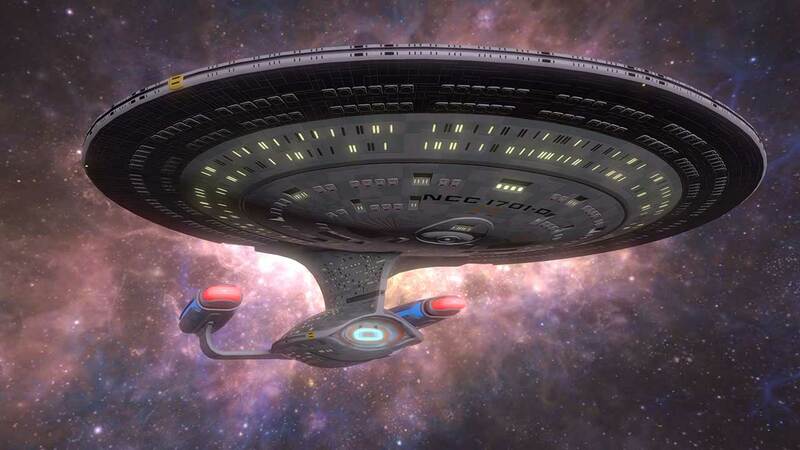 Aegis, the first ship of her kind. 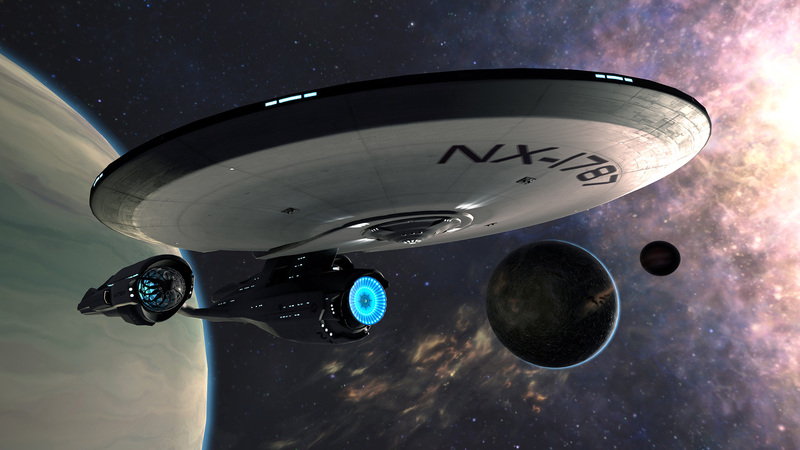 Whether plotting courses and analysing scan data or hacking enemy shields and targeting vulnerable ship subsystems, you’ll have Starfleet’s cutting-edge technology at your fingertips. 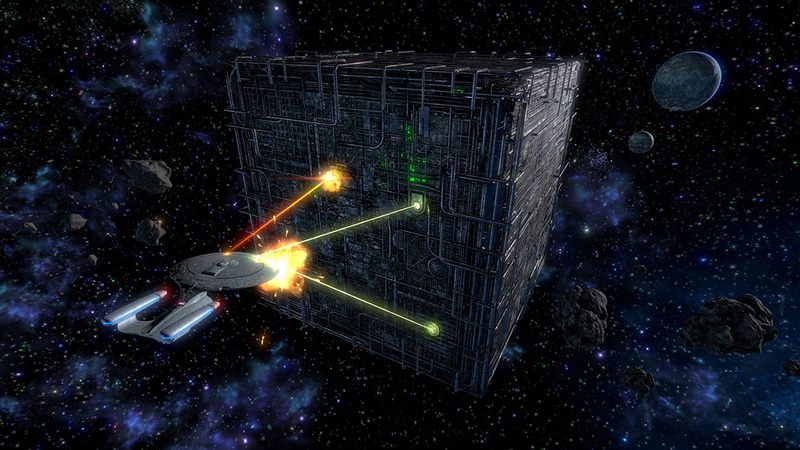 The Aegis’ unique design makes her ideal for the dangerous mission in The Trench but you’ll have to master her systems, both familiar and experimental, to save the day. 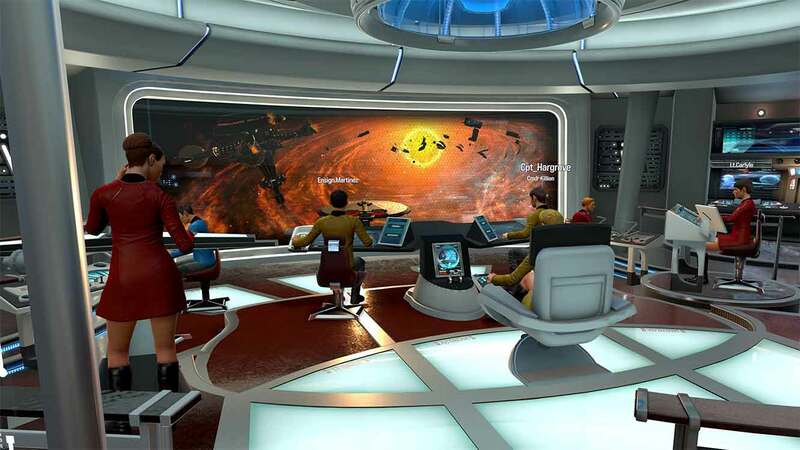 Star Trek: Bridge Crew offers a compelling and engaging co-op experience with an unmatched sense of reality. 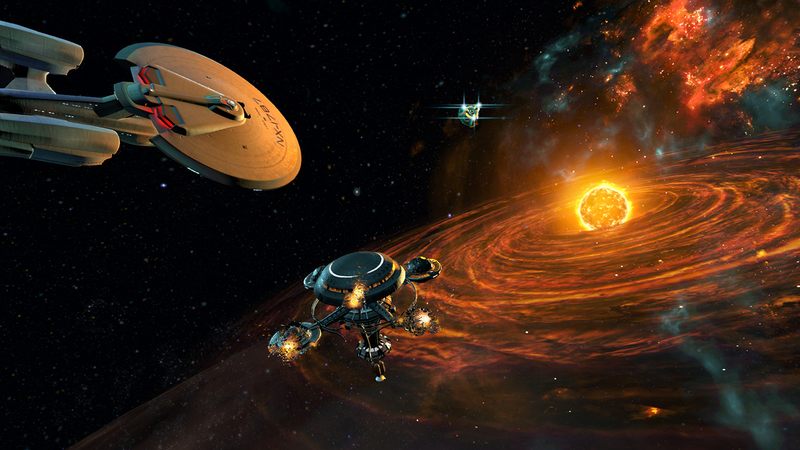 You’ll need more than just individual skill to overcome the challenges you’ll face with one another; communication, trust and close crew coordination are the keys to victory. 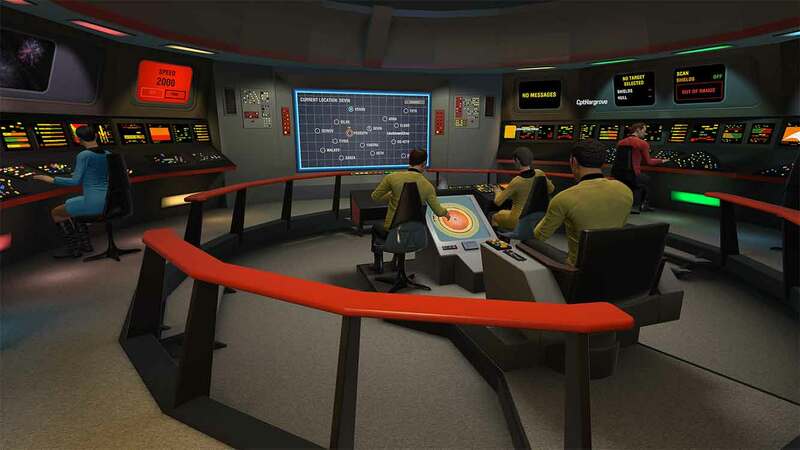 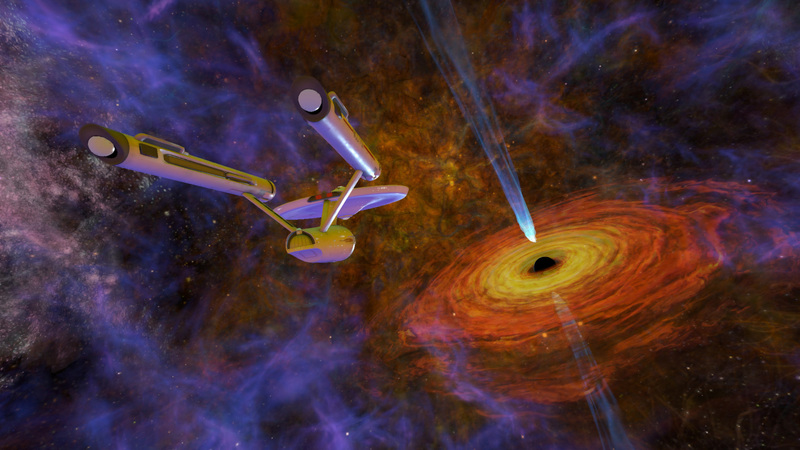 In honor of the Star Trek 50th anniversary, you will be able to play on the original bridge of the USS Enterprise NCC-1701. 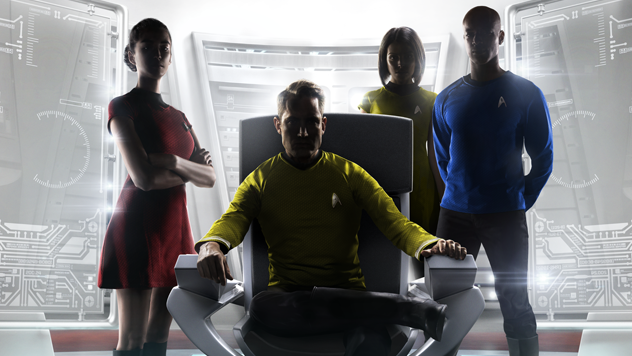 The authentically re-created bridge will allow you to finally be able to live your fantasy as an original Starfleet member.